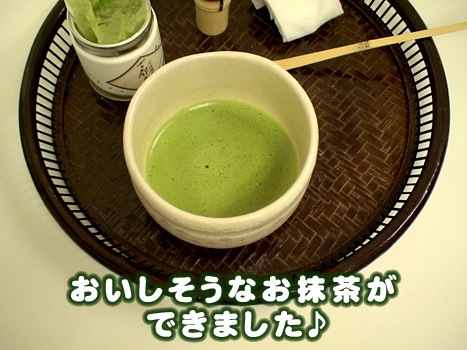 Don't worry about the rules, Let's start to wisk the matcha for fun. Perheat the tea cup with the hot water. 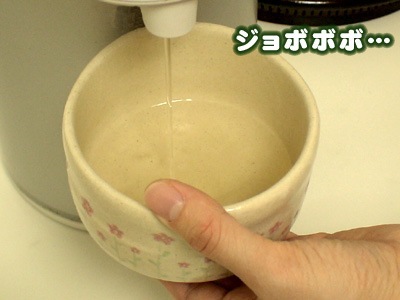 As soon as the tea cup is warm up, pour water out. 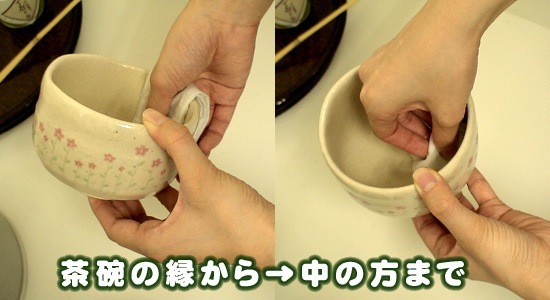 Wipe the tea cup with chakin from the edge to the inside well. If the cup isn't dry, the green tea powder will be lumpy, making the whisking more difficult later. 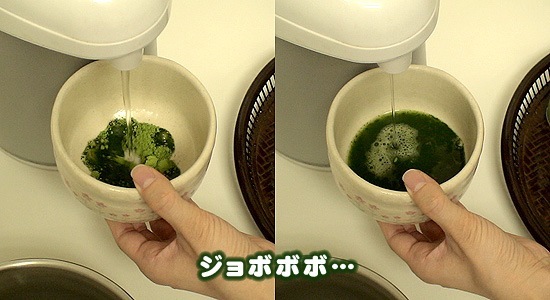 Place the matcha tea powder into the tea bowl using a Chashaku. 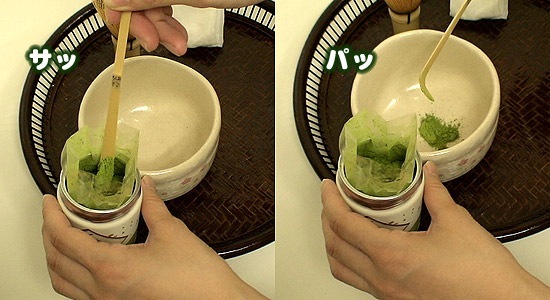 Please pile up by the Chashaku to about three grams.Adding more or less than one spoon is fine, adjust the matcha tea powder to your tast. 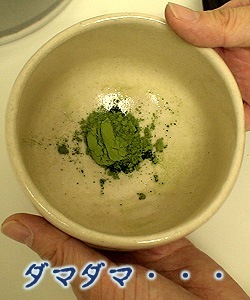 If the matcha tea powder has lumps, because of moisture while being stored, sift matcha first then use a chashaku. this makes whisking easier. 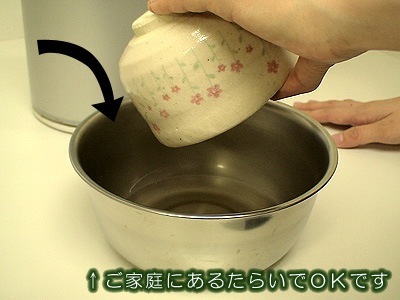 Please pour the hot water (boiled) into the teacup. The pictured tea bowl is a usual size. 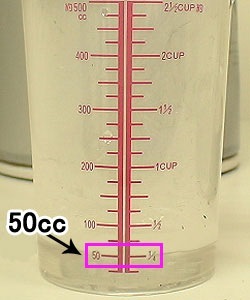 Please pour the hot water to about 50cc. 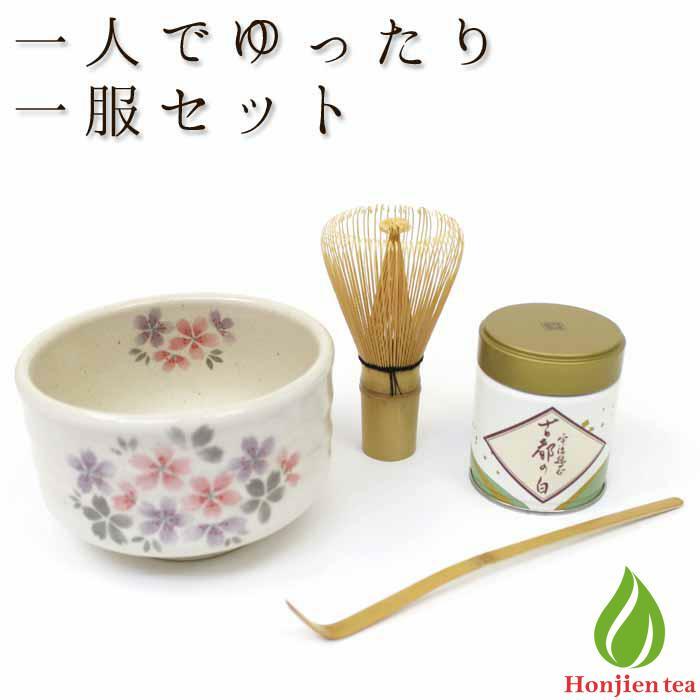 Hold on to the tea bowl in one hand, and whisk briskly with chasen. Don't move your arm or elbow, and whisk briskly using only your wrist, look for soft light foam on surface. And also if you straighten your spine, and make your stomach hard, this will make whisking easier. When you can get enough soft light foam, the matcha green tea is complete. It looks delicious. 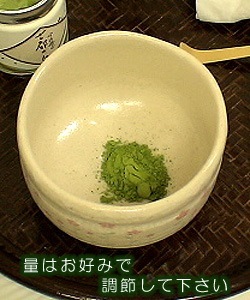 When you whisk matcha for a guest, the front of the tea bowl should be turned toward them. Copyright © 2006-2019 お茶のほんぢ園≪公式通販≫ all rights reserved.